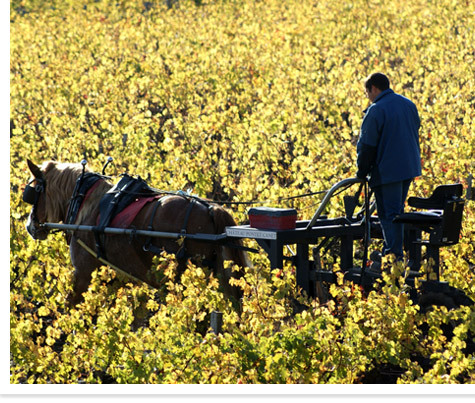 6Over the centuries Pontet-Canet has been owned by only three different families. Today it is run by Alfred Tesseron with his niece Melanie (daughter of his brother Gerard Tesseron) who is the descendant of Guy Tesseron. Since he took over the management of the family estate in 1994, Alfred Tesseron has steadily improved the quality even as he has converted the land to biodynamic farming, reverted to using horse for much of the work in the vineyards, installed a new vat room with concrete tanks, and (beginning with he 2012 vintage) begun using concrete amphoras for the aging of a part of each vintage (with the majority still going into oak barrels.